Established in 1998, Crested Butte Outdoors provides Wilderness Medicine, Wilderness First Responder, and Avalanche courses for all experience levels. Learn to think critically during emergencies in unconventional settings & give your staff the skills & confidence to manage the unpredictable. Sign up now for a public or custom course at your location or ours. Crested Butte Outdoors is based in Whitefish, Montana 30 minutes from Glacier National Park. 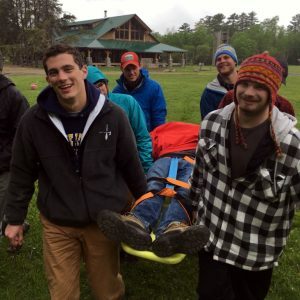 We operate primarily as an instructor-sponsor of Wilderness Medical Associates courses. We are seasoned practitioners and expert instructors. We are also patrollers, mountaineers, sailors, skiers, hikers, and, above all, your colleagues in the field. CBO offers practical, hands-on field base learning. 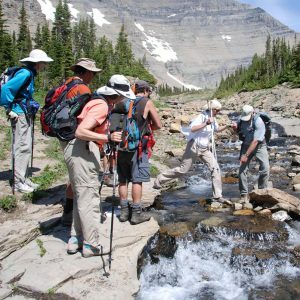 Wilderness Medicine: After 20 years of teaching hundreds of courses around the world, Crested Butte Outdoors is known for its positive, life-changing effects on students and organizations. CBO stands behinds its ability to empower students. We provide an safe environment for individuals to grow, learn to trust, develop leadership and communication skills and problem solve. Avalanche Courses: Crested Butte Outdoors teaches American Institute for Avalanche Research and Education (AIARE) Level 1 and Level 2 Recreational Avalanche courses. 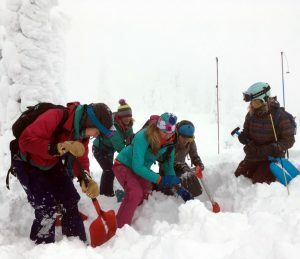 We believe in field base learning and our courses are held at a backcountry yurt run by Great Northern Powder Guides Cat Ski operation, 20 miles north of Whitefish, Montana. We offer mountain rescue skills, speciality training with avalanche dogs and search dogs. Adventure, Teamwork, Leadership: Ready for an outdoor adventure? Here are a few of the questions you should be able to answer: What if I’m in the woods and I break my leg? How will I survive the night? How do I prevent hypothermia? I am asked to be in charge of a hiking group and I don’t know what that means? What do I carry, how do I prepare? Take one of our courses and soon you’ll stand confident in your decision-making skills. Our courses offer you a chance to gain experience and take control of your trip, your life, or situation.